The only thing worse than being trapped in a sleeping bag, is needing to go to the toilet in one. Well cast those fears aside as the new Selk'bag is here. This sleeping bag is more like a body bag. It's padded and shaped to the human form and allows free movement both in and out of sleep, where traditional sleeping bags don't. The various ties and adjustment belts allow for a very snug fit which keeps the warmth in and gives you further control when moving about. 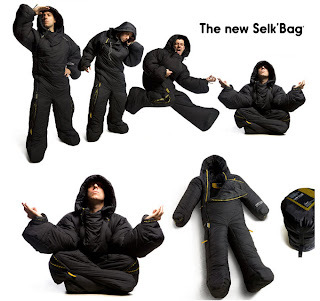 Selk'bag is padded with a number of layer inserts which provide maximum comfort when lying on even the hardest surfaces. 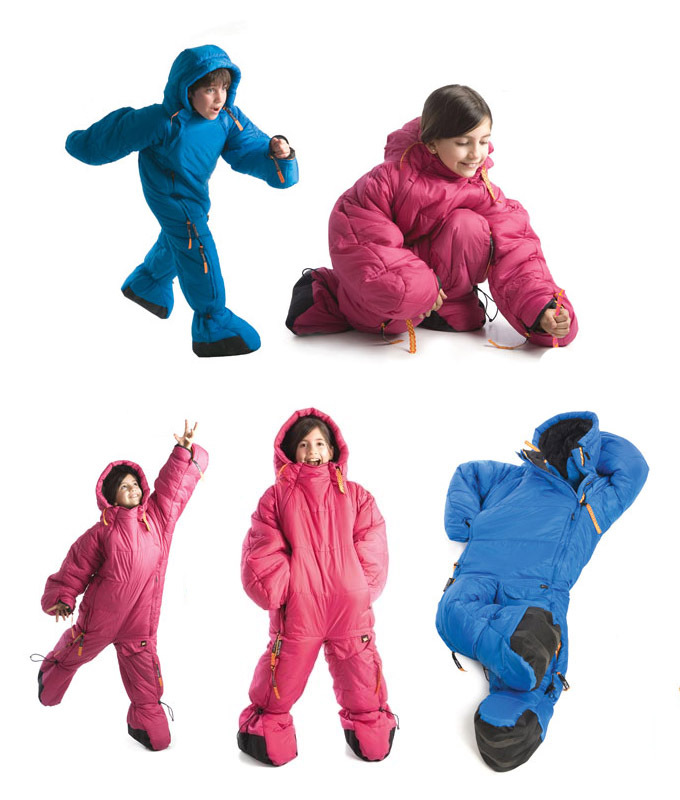 Best of all, even the ugliest camper can look positively cute once wrapped in the Selk'bag. Snug, Smart, freeing!